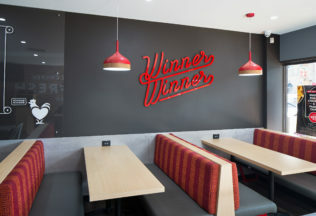 Quick Service Restaurant Holdings, the owner of Red Rooster and Oporto, has changed its business name and appointed three new independents to its Board of Directors. The business was renamed Craveable Brands last week, a name its Chairman, Rob Coombe, says better reflects that the company is in the food business. “It brings a new energy and direction to our business and paves the way to expand on our portfolio of brands that fit the model of delivering amazing food and experiences in a contemporary way,” he said. The new board appointments include former Stockland Chief Executive Officer, Matthew Quinn, RedBallon Founder, Naomi Simson, and former McDonald’s Vice President, Henry Shiner. “The skillset of the board is very complementary incorporating expertise from finance, property, QSR, retail, IT, strategy, hospitality and marketing,” he said. Craveable Brands currently has more than 570 restaurants across Australia, all operating under the Red Rooster, Oporto or Chicken Treat brands. The restaurant network employs more than 12,500 people and serves more than 150,000 customers daily. It is expected to float on the Australian Securities Exchange in the near-future.